Buy top-notch handcrafted creations & delicious island treats. Enjoy Live-entertainment by Hawaii’s legendary performers. WELCOME TO HAWAII'S LARGEST AND BEST-ATTENDED CRAFT FAIRS! 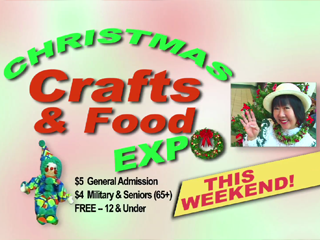 PRODUCED BY CAROLINE-HAWAII CRAFT FAIRS INC.